Searching for fake Email generator sites or random email generator which allow you to generate temporary or disposable emails? Then this article will help you. We have listed some of the best fake email generator sites, so don’t miss to read this article. People searching for random email generator because they don’t want to share there original account information with any one. It is probable that your email inbox gets full with spam emails due to the exposure of email address in testing website and forums. Particularly, if you are getting content or download a free ebook, or login for the newsletter of a website, so later they will send you it is usual that later they will send you many spam emails. But to avoid such worries, there is a fake email generator. With this type of software, you can divert your fake email to such sites. There are many best fake email generator available online to generate a fake email. But keep in mind that using any random site may cause more spamming so pick the one which is trustable. We have made a list of best fake mail generator sites for you. So have a look at it. How Does The Fake Email Generator Sites Work? 1 How Does The Fake Email Generator Sites Work? The fake email generators are provided their service for free. It provides your fake email address to avoid spam mail from multiple websites. The reason behind why this software is needed because some insecure website daily sends multiple mails daily, weekly or monthly and with continuous notification anyone can irritate with it. To avoid it, we need fake email address generator that can bypass all the fake email to other ID. YopMail is the first choice of many users due to it; it is easy to use. With it, you can generate unlimited fake email id within a single click. You can use it anywhere and anytime to secure your register and real email address from fake or spam. The best thing about YopMail is one can create the same ID for all accounts that means you can create the same id with @Yopmail.com. In short, you need an anonymous name only. You don’t have to visit YopMail to generate the email address each time. Another highlighted feature is you do not have to register compulsory to days only and yes, no need of a password. Prefer dispostable app if you do not have much time to create a fake email id. The smooth user interface and quick fack email generation is the best thing about these sites. Visit this website, create a fake email as much as you want and save your professional email id from bombarding of spam emails. GuerrillaMail is for those who look for user-friendly, flexible, and disposable email ID generator app. It provides users with temporary email addresses, that can cover your official email address from all unnecessary email. The user-friendly interface provides an excellent experience to the users. It bypasses all fake emails from unsecured sites that can cause a problem. Once you have entered details, it will generate the email, check it at every 9 seconds and inform you about emails. Even with this email address, you can attach files up to 150 MB. It is an impressive tool to generate fake emails to secure your official mail id. As per the name describe, this tool provides you fake email generator service with a fake email. It is an impressive platform that offers many impressive features. It reduces the chances of error and what it needs is your email id, and internet service to use it for free. Yes, it is free, and you do not have to pay any charges to use it. One can create as many emails as per your need. On the home page, you will receive all the inbox mail of the 10 minutes. So you can open the mail, read them and reply as well. So it is a great choice to save your official email address from spams. Those who are working on different blog site, SpamBog is the one fake email Id generator service. One can use maximum 20 various domains to use. Even it provides you a password to secure your inbox on this fake email id generator. It provides you a temporary email id that can work as your primary mail id for a few minutes. To use the SpamBog is easy. Just click on the key icon, and it will generate a random email ID. Even for your domain, you can pick the fake id suitable to it. Even you can avoid the name of domains as well. With a login option, you can go and check the inbox. If you are using it for your site or domain, then it is possible that you will receive important emails on it also. So to answer it, this tool also lets you reply to the emails that you receive in the spam box. It is same software that we have covered in this list, but the only difference is it provides disposable email Id that prevents spamming. We know that spreading the official mail id online is risky as it can spam your email Id. People look for free and quick service that generates the fake email id quickly, and Anonymous Email is the one. Anonymous email as per the name suggests it is unknown and temporary email address generator. But to use this app, you have to sign up before you start. Fill the form with your details and the process is done. Simple! As a user, one can create as many as fake email addresses with this tool to keep your email spam free. Spammed emails in the inbox are the biggest problem nowadays, and everyone wants to get rid of it. And thanks to myTrashMail temporary email generator programs that prevent all of the users from spam. It is a verified temporary email Id generator that gives anonymous emails as per the domain name. Even with this tool, you can see all activate and deactivate domains on the right pan. Choose the domain name and create a random email id as per the name. Even you can use the newly created email Id during sign up to online service or for a newsletter. It means on your new fake email id; you will send and receive mail. It is possible that you are doing online shopping and giving email id for login or anything other, then there is a risk that your mail id sells to others. Once it is gone in the hand of spammers, your inbox is a house of spam emails. The same problem happens with fake email id as well but as it is not an official ID, so no problem. It receives many spams, and hence sometimes it happens that you missed some important emails as well. It is an impressive fake email Id generator as you can create nine different fake email IDs from one system and use all of them. You can delete the messages, and if you receive many spam emails, then you can delete one account and create others. Mailinator is a fake email generating service that is alternative to 10 minute mail. With this disposable email generator, you can quickly create fake email id. The working is almost the same as the other software. Yes, the user does not need to sign up. By the way, Mailinator has a unique feature like some of the other fake email generators that you don’t need to sign up or register in Mailinator if you want to use a fake email Id. It is an awesome feature because you can get a fake email id in a few seconds, receive new emails, reply to new emails and that temporary email Id will get terminated soon. If you are sure that you need fake email id for professional work, then Mail.com can meet your demands. This personalized email Id service has some notable features. 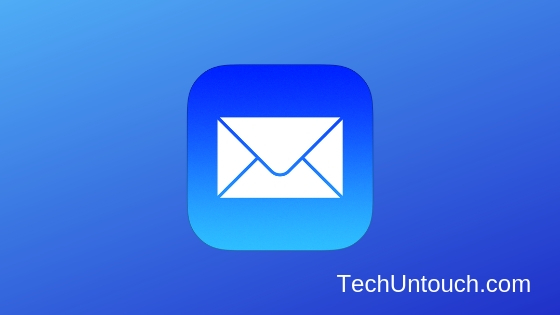 Using this app, you can create a random email address that is hard to detect. Yes, undoubtedly it is a useful source. You have to sign in to enjoy this app. Even new users can also create fake email id to prevent spam on their official email. It is all about 10 best fake email generator sites or random email generator that help you to save your email id. We hope you like it, and if it so, then share it with those who are irritated with the spam emails. Thank you!